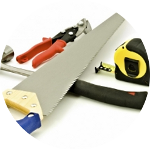 Searching for a handyman London or general handyman services? Welcome to the Handy Squad. Search no further as the Squad is here to help. At the Handy Squad we have an entire team of highly-experienced handymen ready to give a helping hand to anyone that requires it. If you are located in London, you’re in luck as we cover the whole of London in our unmistakable yellow scooters. 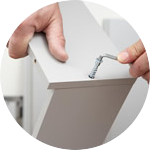 Our London handyman team is able to assemble flat pack furniture, remove old grout from tiles, wall mount TV units, baby proof homes, tidy cables, install bath screens, among many other services. What are you waiting for? Give handiest Handy Squad a call on 0800-0-12-12-12 or alternatively, request a free quote by filling our online booking form today. Whether you require a Battersea handyman, handyman in Chiswick, handyman in Croydon, handyman in Ealing, perhaps a handyman in Putney or simply find a handyman near you – our expert team will be able to hop on their scooters and be at your door in no time. 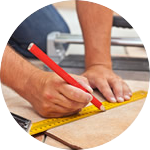 We take on a vast array of different jobs you might require, from fixing toilet seats to putting up bespoke bookshelves or install wall tiles in your bathroom. Don’t worry if your request is too unusual, give us a call anyway – we might be able to surprise you. Have you been renovating your room or your entire home and require a handyman in London to hang blackout curtains or hang a large mirror? 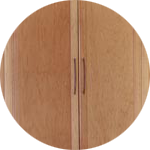 Our Squad offers a variety of services to complete your home makeover, including draught proofing homes to be prepared for the wintery months, assembling bedroom furniture, from assembling beds to assembling wardrobes or chests of drawers, as well as lifting and shifting furniture between offices and or homes. 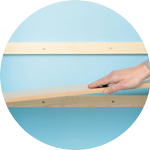 Our handymen can also give a second pair of hands putting together your new office space. We can replace broken ceiling tiles, box in pipes, assemble office furniture, amongst many other jobs you might require. Besides providing handyman services in London, the Handy Squad also offers decorator services, plumbing services, electrician services, locksmith services, and much more. In case you require a local handyman to do any of the services mentioned above, or you simply need a handy man to cut up an onion for you (yes, we’ve done that and other strange requests) – give our friendly team a call on 0800-0-12-12-12 or simply use our online booking form to request a free quote today.